Dr. Elizabeth Baca is passionate about innovations to foster total health and well-being. She currently serves as the Senior Health Advisor in the Governor’s Office of Planning and Research (OPR). She is engaged in innovation in the public sector to foster health through multiple projects including healthy planning, big data, and public-private partnerships. For healthy planning she works across sectors to foster collaboration, elevate the connection between health and the built environment, and leads the effort to incorporate health considerations into the planning process to build healthy, resilient communities. A significant part of her work is aligning win-wins for projects that offer co-benefits, particularly with respect to climate mitigation and adaptation efforts. For big data, she is working on projects to link data sets to the planning process. Additionally, she serves as a lead for the Governor’s Initiative to Advance Precision Medicine. Through her role in OPR, she is an advisor for the USGBC Building Health Initiative and FS6, a new Food System Accelerator. Previously, she served on the General Pediatric Faculty at Stanford Medical School and directed the Community Pediatric and Child Advocacy Rotation. In addition to teaching medical students and residents about the social, economic, and environmental factors that affect health, Dr. Baca was the lead faculty mentor on several projects to increase access to healthy foods, reduce environmental triggers of asthma, increase physical activity opportunities, and improve the built environment. Dr. Baca studied health policy at Universidad Simon Bolivar in Venezuela. She completed her Masters in Public Administration at Harvard Kennedy School of Government and her Doctorate of Medicine at Harvard Medical School. Dr. Baca completed her pediatric residency in the Pediatric Leadership for the Underserved (PLUS) program at University of California, San Francisco. As the program director for CIAPM, Uta Grieshammer is responsible for overseeing the execution of demonstration projects, organizing workshops and other convening activities, and developing an inventory of precision medicine assets in California. She works with Atul Butte, the principal investigator for CIAPM, and with leadership from UC San Francisco, the Governor’s Office and Office of Planning and Research, and the UC Office of the President to ensure the timely and successful completion of the scope of work for CIAPM. Grieshammer received her PhD in Biochemistry from Boston University. She is a developmental biologist with expertise in stem cell biology and the mechanisms of organ formation. Prior to joining the Institute for Computational Health Sciences at UCSF, she served close to eight years as a Science Officer at the California Institute for Regenerative Medicine, the state’s stem cell agency, managing a portfolio of stem cell grants, developing requests for applications and communicating stem cell concepts and clinical advances to diverse audiences. Brennan Spiegel directs the Cedars-Sinai Center for Outcomes Research and Education (CS-CORE), a multidisciplinary team that investigates how digital health technologies can strengthen the patient-doctor bond, improve outcomes and save money. Spiegel has published numerous best-selling medical textbooks, editorials and more than 160 articles in peer-reviewed journals. He is listed in the 2016 Onalytica “Top 100 Influencer” lists for digital health (No. 13) and virtual reality (No. 14). His digital health research has been featured by major media outlets, including NBC News, PBS, Forbes, Bloomberg, NPR and Reuters. Spiegel conducts psychometric, health-economic, epidemiologic and qualitative research across a wide range of healthcare topics. As a member of the U.S. Food and Drug Administration Field Advisory Committee, Spiegel also develops endpoints for clinical trials. Spiegel is editor-in-chief of the American Journal of Gastroenterology, the leading clinical gastroenterology journal in North America. 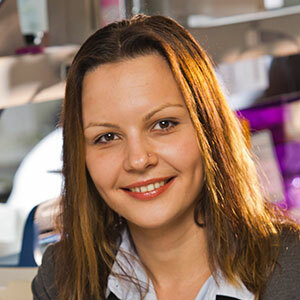 Dr. Morozova is the Founder of the Treehouse Childhood Cancer Initiative at the University of Santa Cruz Genomics Institute, where she is a Postdoctoral Scholar in David Haussler’s group. She is also a Clinical Molecular Genetics Fellow in the Department of Pediatrics at UC San Francisco. Dr. Morozova is the scientific lead for the California Kids Cancer Comparison (CKCC) project, one of the demonstration projects of the California Initiative to Advance Precision Medicine, a public-private effort recently launched by Governor Edmund G. Brown, Jr. CKCC evaluates the efficacy of pan-cancer analysis to improve the yield of pediatric cancer clinical sequencing trials. 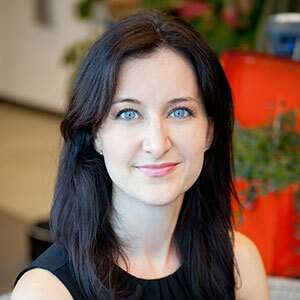 Dr. Morozova holds a PhD in Bioinformatics from the University of British Columbia and a BSc (Hons) in Molecular Genetics and Biology from the University of Toronto. Rowan Chapman is the Head of Johnson & Johnson Innovation, California, a position she assumed in January this year. Before this appointment, Rowan was the Head of Healthcare Investing at GE Ventures, where she led the creation of and sat on the boards of the first three Healthcare “NewCos” incubated and launched from GE Ventures. Prior to that, Rowan served as Head of Precision Diagnostics at GE Healthcare, where she was responsible for strategy development to integrate lab services, products, data, informatics, software, and content. Before GE, she spent 11 years as a Partner at Mohr Davidow Ventures, where she drove development of the life science investment strategy and practice area. Rowan was a very early employee at Rosetta Inpharmatics and a Product Marketing Manager at Incyte Genomics. She holds a Ph.D. and first class honors degree in Biochemistry from Cambridge University, U.K. and was a postdoctoral fellow at the University of California, San Francisco.